This double strength moisturizing body cream with anti-inflammatory plant extracts will leave you feeling cool and relaxed. This creme is fast acting and invigorating, perfect for use on sore muscles, swollen joints and distressed skin. Use with full body massage or apply directly where it hurts. Try refrigerating for an extra refreshing sensation after sun or physical activity. Massage onto temples and pulse points to relieve migraines and stress. Available in 8 oz and 2 oz sizes. 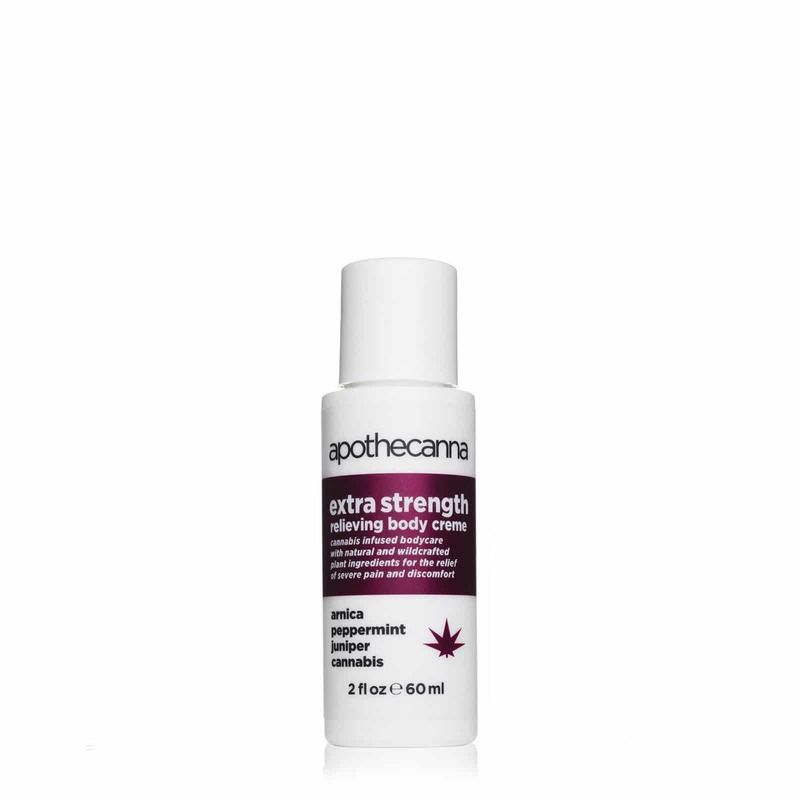 Apothecanna’s Extra Strength Relieving Spray packs a punch with double strength, fast acting pain relief with organic essential oils and plant extracts. Cooling and invigorating. Works with all skin types. Ideal for before and after athletic activity. 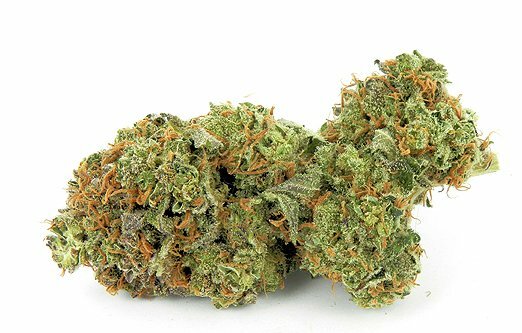 Perfect for use on sore muscles and swollen joints. Contains peppermint, juniper, arnica and cannabis to provide fast acting relief from pain and inflammation. Available in 2 oz. Cooling and invigorating, Apothecanna Relieving Creme is a moisturizing body cream with anti-inflammatory plant extracts. Perfect for use on sore muscles, swollen joints and distressed skin. Use with full body massage or apply directly where it hurts. Contains peppermint, juniper, arnica and cannabis for fast acting relief from pain and inflammation along with relief for severely dry skin and irritation. Can be used on all skin types. Ideal for dry climates and after sun. Expect a minty aroma with a hydrating, cool sensation. Available in 8 oz and 2 oz. Immediately upon application you can feel the minty cooling sensation get to work as it relieves muscle tension and joint pain with all natural plant ingredients like arnica, peppermint and juniper. It also has MSM and glucosamine which help relieve inflammation, not just disguise it. With a nifty locking mechanism, this is perfect for an on-the-go treatment you’ll want to take on all of your adventures. Available in 2 oz. A sensual and arousing intimacy oil with exotic and wild crafted plant ingredients to enhance sensitivity and increase blood flow. Jasmine, coconut, argan, and cannabis combine to create a delicate oil with an arousing floral aroma. Creates a soft glide and entices an uplifting, happy mood. Use privately or with a partner.